Alcatel has launched A30 (AT&T/T-Mobile) Unlocked cheapest mid-range budget 4G LTE smartphone in the US that All the value available in two unlocked GSM and CDMA versions – Standard and Amazon Prime Exclusive price at $99.99 , it has a 5.0-inch 720p HD display, is powered by Snapdragon 210 quad-core processor and runs on Android 7.0 (Nougat). The Alcatel A30 boasts of a 8MP main snapper at its rear and an 5MP front-facing selfie shooter. There is a Li-Ion 2460 mAh battery powering the phone with support for USB microUSB v2.0 and Dual SIM and Powered by 1.1 GHz Qualcomm Snapdragon 210 quad-core processor with 16 GB Internal memory and 2 GB RAM with expandable up to 32GB with microSD card. Check out Best cheapest 5.2 inch Alcatel A50 Unlocked smartphone 16GB price in US $149.99. Offers and ads, including personalized deals and recommendations, display on the phone’s lockscreen. Check out Budget smartphone Alcatel A30 Plus 16GB Unlocked Phone (AT&T/T-Mobile) Black launched Price in USA $129.99. The 8.6 mm slim and compact design on the Alcatel A30 includes a high polished frame and textured back for an eye catching look. You’ll appreciate the engraved power key for ease of use. Alcatel A30 (AT&T/T-Mobile) Price at US $99.99 available from Amazon. 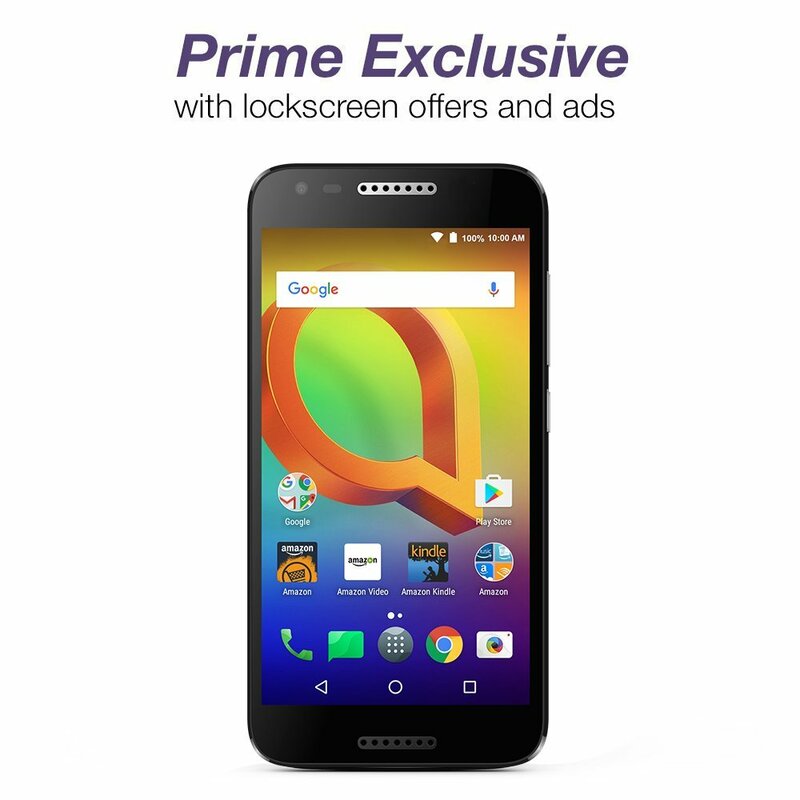 Prime Exclusive – Unlocked with Lockscreen Offers & Ads.